Founded in 2006, it was only two and a half years ago that HondaJet gained type certification for its first aircraft. However, the relative newness of the company has not hindered sales. The HondaJet has earned rave reviews and had the most sales of any jet in its class in 2017. Following hard on the heels of its success, the company announced its sophomore project — an upgraded business jet called the HondaJet Elite — in Geneva just before the 2018 European Business Aviation Convention and Exhibition (EBACE) in May. It was here where attendees received the first look at the newly certified aircraft. The new Elite achieves an extended range of 17% more than the original HondaJet model, which translates into a range of just over 1,430 nautical miles. This makes the aircraft capable of flying distances as great as those from Denver to New York City or Shanghai to Tokyo. Additionally, the press release touts a new “noise attenuating inlet structure” that lines the engines to cut down on high-frequency noise. The jet will also include some smaller luxuries, such as the industry’s first speaker-less in-cabin audio system, a galley with a coffeemaker, and a belted lavatory. The jet will be available in three different color schemes: Ice Blue, Ruby Red, and Monarch Orange. The cabin and exterior are not the only parts of the HondaJet Elite to receive upgrades. 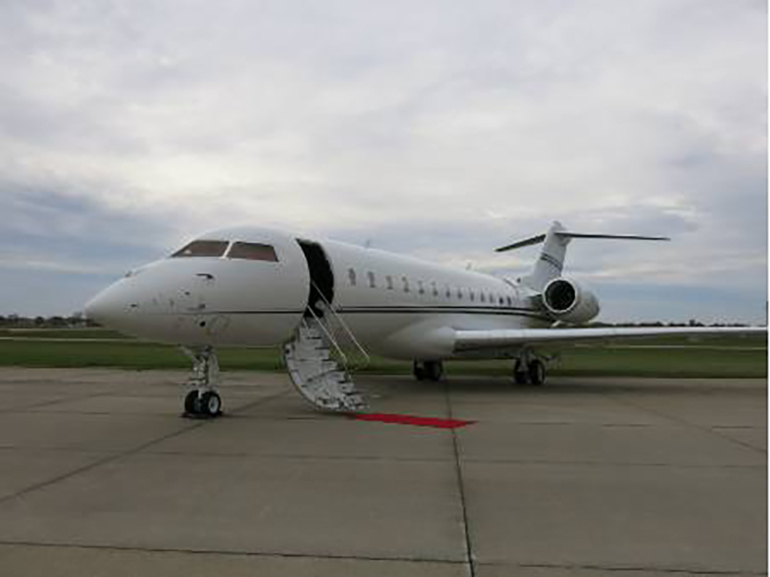 Designers equipped the jet with the Garmin® G3000 avionics suite, which is highly automated for optimal safety. New features include automatic planning for performance, runway lengths, and gradients. The new interface also includes an angle of attack function to assist the pilot in maintaining stability. In fact, the whole Elite cockpit was designed to be comfortable, responsive, and intuitive. As its name would suggest, the HondaJet Elite stands out among other similar business jets in many ways. The HondaJet Elite is the fastest and highest-flying jet in its class. It is also the quietest, emitting less noise pollution to protect the regions it flies over. Additionally, it boasts the highest fuel efficiency of all similar jets, making it more environmentally friendly and more economical to fly than its competitors. If previous HondaJet sales are any indication of the Elite’s success, the queue for orders is already growing. While the HondaJet Elite is a smaller aircraft, this light jet is one of the smallest and most agile classes of private passenger aircraft. If you are in the market for a smaller luxurious aircraft, it could be hard to go wrong with this new arrival. Unsure of the size or type of aircraft you need? A professional aircraft broker can help you through the process, ensuring you get the right jet for your needs. At L & L International, our expert jet brokers are available to assist you in purchasing the perfect jet. You can reach our sales specialists today at sales@L-Lint.com, call us anytime at +1 (305) 754-3313, or visit us online.